Our gallery is where we’ll post pictures of MCA NW Ohio events. Signatory and member contractors are busy with their businesses, but on occasion, we’ll manage to break away from work to celebrate successes, learn more from each other and from our vendors, or play golf in a fundraiser. 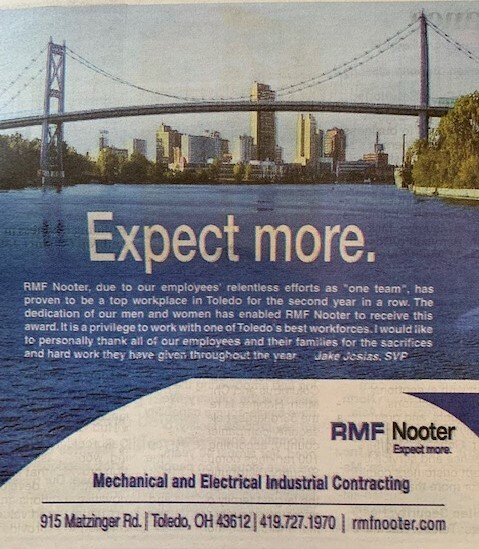 Congratulations to RMF Nooter for being named one of Toledo’s top workplaces for the second year in a row! Way to go. A crowd of Campbell Inc. employees and community members gathered in September for a ribbon cutting to celebrate two significant milestones in company history. 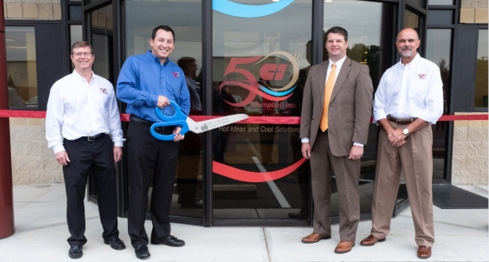 The first to celebrate 50 years of business and the second to mark a completion of a building expansion that doubled their current facility. 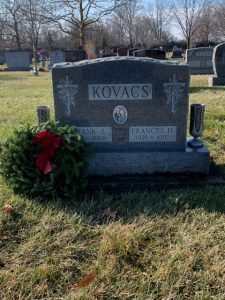 The MCA of NWO participated in Wreaths Across America by honoring our Local 50 veterans. 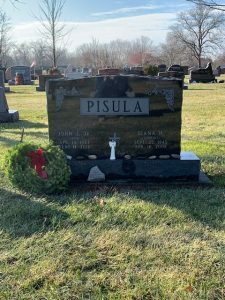 With the help of the MCA Staff, PITC Staff, and first year apprentices, we were able to place 60 wreaths in 39 different cemeteries. The MCA August Membership Meeting was held at the beautiful Catawba Island Club. 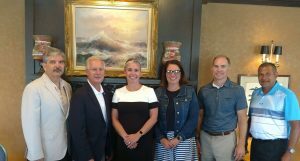 A huge thank you to our guest speakers State Representative Steve Arndt, District 89 and Valerie Pope, Mechanical Contractors Association of Ohio.